Appellation or Vine Amarone della Valpolicella Classico D.O.C. 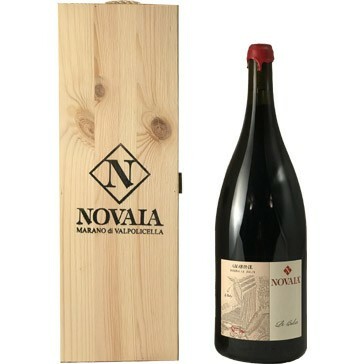 A great cru of Amarone Riserva, magnum size, comes in a beatiful wooden box. It has been awarded with the "2 bicchieri" by the Gambero Rosso Vini d'Italia guide. 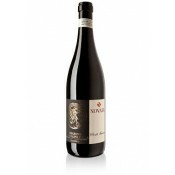 This cru of Amarone is a selection inside a selection and it is made only in top vintages. It is is made with corvina, corvinone, rondinella and oseleta grapes picked during the last ten days of September from the "Le Balze" vineyard, a hilly vineyard (280-300 metres above sea level) located in Novaia, Marano di Valpolicella (Verona). Grapes undergo a natural over-ripening in a traditional hilly cellar (400 meters above sea level) for about 4 months. This wine ages for 32 months in barrique and 12 months in bottle. Color is deep garnet red. It shows an intense perfume with typical hints of ripe red fruit and jam, together with the typical notes given by wilting, evident hints of spices, coffee, bitter chocolate, tobacco and notes of goudron with ageing. It has a good alcoholic taste with high extract, a generous, velvety, flavoursome and persistent body with hints of almond, cherry jam, spices and tobacco. Novaia is located in one of the most suggestive and luxurious areas of Alta Valpolicella, on the top of a gentle and sunny hill and on the left of the Marano Valley. 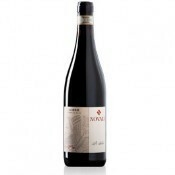 At Novaia they adopt century-old traditions passed down over the years: in 1908 The Modern Industrial Fair of the city of Verona awarded Paolo Vaona the Grand Prix and Gold Medal Diploma for the wines he produced. Today Cesare and Gianpaolo Vaona, with their sons, perpetuate his ancient tradition. The winery is run according to modern and yet ancient and traditional winemaking techniques, vineyards have been replanted to valoryze the tipical varieties and and many studies concerning drying grapes have been made. Tradition suggests great dishes based on game, grilled, roasted or braised meat, roast lamb or goat, slightly fat, tasty and mature cheese, excellent at the end of a meal, it is perfect to be enjoyed alone in front of a fireplace as a "meditation wine", with a good book or in pleasant company, the unusual combination with sweet-and-sour flavours, the traditional dishes of Middle-East, Asian and Latin-American cuisine, is never disappointing. When well preserved it can enhance all its features till thirty-forty years following vintage, it is advisable to store bottles horizontally in a cool and dark place with constant humidity and temperature. It is recommended to open the bottle at least an hour before serving and decant the wine into a large carafe so that it has a chance to air and its rotundity can be appreciated in full, the wine should be served at 18-20°C, the best glasses to use are clear, transparent crystal goblets. Wineshop.it is one of the four finalist for the "The e-commerce trust" award of AICEL, the Italian E-commerce Association.